Phil is an Olympian and former three-time national gymnastics champion of Australia. 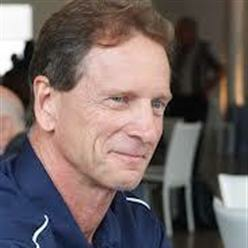 He has been an innovator in biomechanics and motion analysis of sports for over twenty years. Phil has an honors degree in Electrical Engineering from the University of New South Wales in Sydney, Australia and a Master of Science degree in Biomechanics, from Arizona State University. In the early 1980's he was the Research Engineer and Head of Engineering Technology for the U.S. Olympic Committee's Sports Science Program at the Olympic Training Center in Colorado Springs. There he used state-of-the-art technology to measure and improve the performance of Olympic athletes. In 1987, Phil left the USOC, became a co-founder of Peak Performance Technologies Inc. in Englewood, Colorado and developed one of the first motion analysis systems based on video. Olympic and national training centers throughout the world now use Peak systems. In 1991, Phil was a co-founder of Skill Technologies Inc. in Phoenix, Arizona, where he developed real-time motion measurement systems. These systems include 3D-Spine, 6D-Research, 3D-Gait, 3D-Golf and 3D-SkillCheck. 3D-Golf is a Swing Motion Measurement and Biofeedback Training System and combined with 3D-SkillCheck it produces a report on the swing biomechanics of the golfer. Included in the report are suggested drills and exercises to fix the golfer's specific problems. Phil has published research articles in the biomechanics of sports, including golf, gymnastics, fencing, rowing, shooting, and archery, and was a lead researcher in the gymnastics project at the Barcelona Olympics in 1992. In January of 2001 Phil was awarded second place in the first annual Golf Magazine, Science in Golf competition. The competition included nearly 100 entries submitted by scientists and teachers from around the world. Phil is currently Chief Technical Officer and co-owner of Advance Motion Measurement LLC, and continues to research and develop motion analysis systems for biomechanics analysis and sports training. In addition to his duties at AMM, he is also pursuing his Ph.D. in Biomechanics at Arizona State University. His research interest is the full swing in golf and specifically the kinematic sequence of the forward swing.